Crisp white cabinetry and plenty of storage were key in this contemporary laundry, built by Cato Constructions. 25. 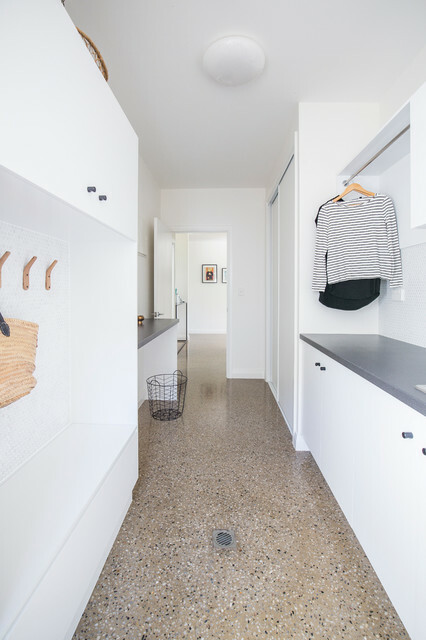 Location: Townsville, QueenslandWhy we love it: Pared-back styling and practical inclusions, such as a hanging rail for wet clothes on one side of the room, and hooks and seating on the other to make visitors welcome, transform this laundry/mudroom into a standout space. Left wall opposite kids desk in hall?